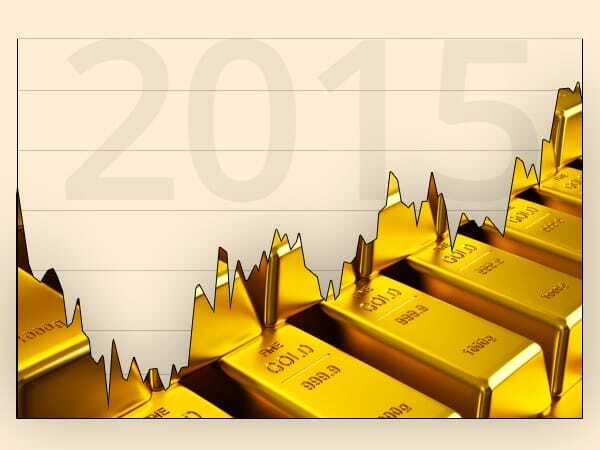 Home » Has Gold Been Outperforming Stock Markets in 2015? This week, Your News to Know gathers up the most important news stories about the gold market and the overall economy. Stories include: Gold’s 2015 performance is better than commonly believed, gold is a great safe haven during market volatility, and millions of dollars in gold and silver are sitting under New Zealand volcanoes. The media has been quite outspoken against gold so far this year. But has it really performed so poorly, and could the gold market actually be doing better than others? Lawrence Williams’ article on Sharps Pixley highlights the true underperformers of the year: the stock markets. Gold has only fallen 4.6 percent from its opening London Bullion Market Association (LBMA) gold price set on January 2nd. In comparison, the Dow is still down 7.4 percent even after its recent recovery, while the U.K.’s FTSE 100 is down 5.4 percent year to date. Similarly, Canada’s Toronto Stock Exchange (TSX) Composite Index is down 6.7 percent whereas gold is up 7 percent in cash against documents (CAD) terms. Gold also rose 7 percent in Australian dollars while the Australian Securities Exchange (ASX) 200 stock market index went down 3.7 percent. Gold also managed to outperform China’s stock market, which will undoubtedly strengthen its already-potent appeal among the Chinese populace. This year’s withdrawals on the Shanghai Gold Exchange have already reached comfortable record levels, reinforcing China’s status as the world’s top gold consumer for three years straight (and possibly more). With recent volatility in the markets, gold once again found itself on investors’ radars as a safe haven asset. Frank Holmes used the fall of the ruble as an example of why gold is valued whenever a need to protect wealth arises. As the Russian currency lost nearly 50 percent of its purchasing power thanks to a fall in oil prices and an ill-advised Ukraine invasion, gold went up by 54 percent during the same period. “It shows that when a currency loses value and falls out of favor, gold has tended to benefit as investors seek real assets,” Holmes says. A month ago, high margin lending contributed to a massive 30 percent correction in the Shanghai Stock Exchange. What can one expect from the New York Stock Exchange (NYSE), then, with its $504 billion of margin debt, especially when remembering that the NYSE only had a margin debt of $38 billion when the 1987 market crash happened? It’s a safe bet that famously successful hedge fund manager Stanley Druckenmiller, who recently invested more than $323 million into a gold ETF, is one of these optimistic market professionals. Gold is hardly what comes to mind when one thinks of volcanic eruptions. Yet qz.com’s Matt Gibbons reports that a team of researchers recently discovered large gold and silver deposits underneath a group of New Zealand volcanoes. While the value of the ore is still uncertain, project researcher Stuart Simmons estimates it to be somewhere between $50 million to $250 million. People were already using the steam from the area’s hot springs as a source of geothermal energy. But heat isn’t the only thing that volcanic magma enriches the local water with: the hot water is sometimes caught in the geothermal production pipes as it flows through them, leading to thin layers of gold and silver being formed over time. According to Simmons, though, extracting the gold will be no easy task. Even when the research is thorough enough to base a mining operation off of it, precious metals extraction from hot springs is a complicated process that could interfere with the environment as well as geothermal production in the area; new mining techniques might have to be created beforehand. Still, it’s good news for a mining industry that has to deal with depleting gold reserves in the Earth’s crust.